Planet X PX-C01 Ismenios. Preorder. Available in late November 2018. 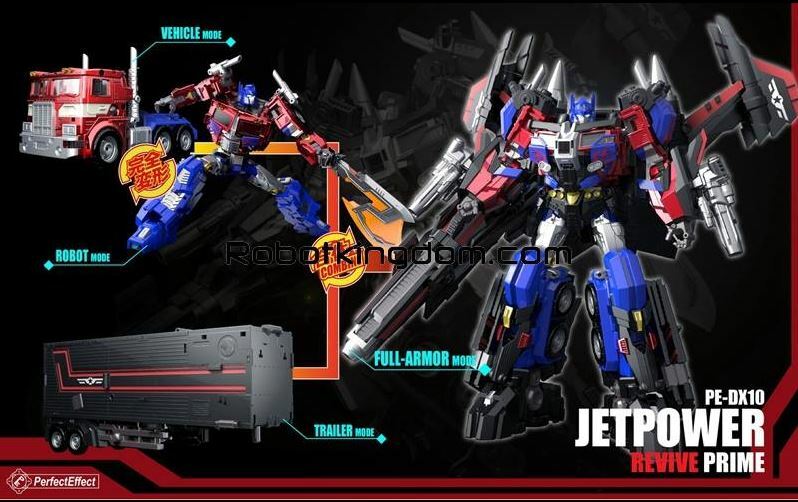 Perfect Effect PE-DX10 JETPOWER REVIVE PRIME. Preorder. Available in March 2019. Takaratomy Mall Exclusive Transformers LG-EX Grotusque & Repugnus. Preorder. Available in late January 2019. Takaratomy Mall Exclusives Transformers Golden Lagoon Starscream. Preorder. Start Shipping on 29th September 2018. MASTER MADE – ST-05 ODIN – STATUE SERIES. Hiya toys LP0032 Exquisite Mini Series – Predator Jungle Predator. Takara Transformers Masterpiece MP-10 – Convoy with Exclusive Coin. Transformers Botcon 2010 – Piranacon / Seacon. Hasbro Star Wars 2010 Comic Two-Packs Exclusive – Deliah Blue & Darth Nihl. Hasbro Star Wars 2010 Comic Two-Packs Exclusive – Jarael & Rohlan Dyre. Hasbro Star Wars 2010 Comic Two-Packs Exclusive – Soontir Fel & Ysanne Isard.